Computers, for all of their computational muscle, do not hold a candle to humans in the ability to recognize patterns or images. This basic quandary in computational theory - why can computers crunch numbers but cannot efficiently process images - has stumped scientists for many years. Now, researchers at Arizona State University -- Ying-Cheng Lai and Frank Hoppenstaedt -- have come up with a model that could help unlock some of the secrets of how humans process patterns. The advance concerns oscillatory associative memory networks, basically the ability to see a pattern, store it and then retrieve that pattern when needed. A good example is how humans can recognize faces. A key to pattern recognition is the use of oscillatory associative memory networks. Lai said the human brain and its use of neurons have a great advantage over computer memory in that they employ oscillatory memory systems, systems where the individual components can oscillate or freely change between states. In contrast, digital computer memories operate on a binary number system (1 or 0). An important advance was made in this area in the 1980s by John Hopfield who developed the 'Hopfield network' [the associative neural network] to help understand how biological memory works. But the main drawback of the Hopfield network is that while it represents how biological memory works, it employs discrete state memory units while most biological units are oscillatory. "Our work is the first demonstration of the possibility for oscillatory networks to have the same memory capacity as for the discrete-state Hopfield network," Lai said. "When the Hopfield network was invented, it was considered a revolutionary step in understanding how biological memory works. A difficulty with the Hopfield network is that it consists of units (or artificial neurons) with two discrete states," he added. "It is therefore desirable to study oscillatory networks but this has been a struggle, as all previous work shows that the capacities of these networks are very low compared with that of the Hopfield network. In a sense, our work helps solve this difficulty." 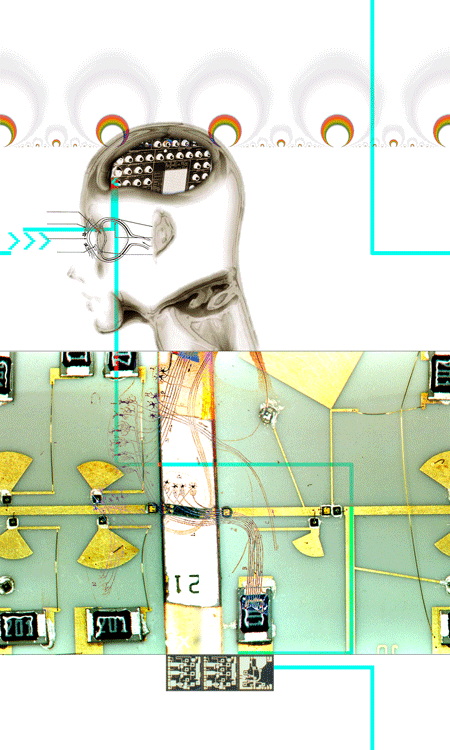 The real payoff in Lai's research could be what it may provide in terms of basic research into the human brain itself. Developing a good model of the human brain, one that could more closely replicate the actual function of the brain as it reasons, might help understand more of its operational basis and how it developed into the organ it is today.